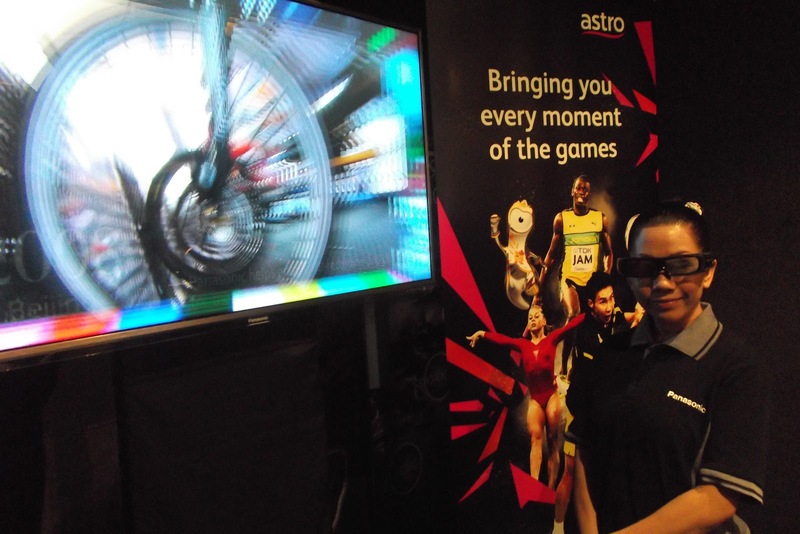 Catch London 2012 In 3D On ESPN – footsteps……..
At Golf City, Level 4 of Bangsar Shopping Complex (BSC), ASTRO launched the London 2012 Olympic in 3D and for the second time the Special TV Pass. 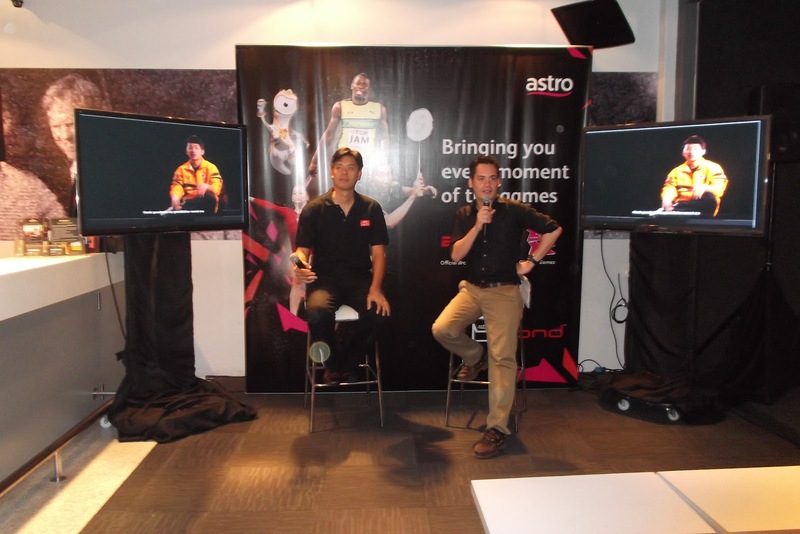 The launch was announced by Vice President of Sports Business, ASTRO, Mr Lee Choong Khay. – Mr Adam Zecha Executive Vice President, Head of Sales for SEA, ESPN STAR Sports. ESPN STAR Sports is the official broadcaster of the London 2012 Olympic Games on Astro, and Astro customers can look forward to the biggest and most extensive coverage in Malaysian history. This includes 24-hour coverage on 10 dedicated ESPN STAR Sports channels covering the Games with LIVE and first-run coverage in both HD and SD, as well as on a dedicated 3D Channel on Astro. 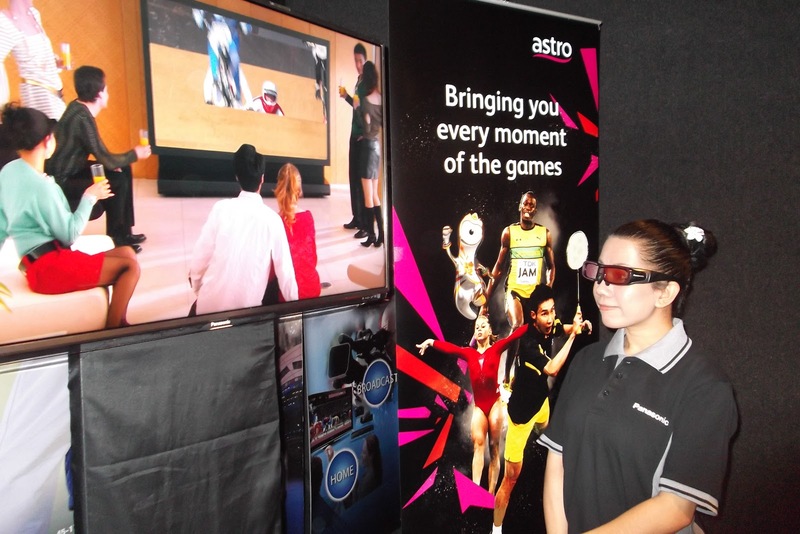 Astro B.yond HD customers subscribing to the Sports pack can catch over 200 hours of exciting 3D coverage throughout the Games, with a mix of LIVE action, as well as highlights of the Games. This will include the Opening Ceremony [July 28th (Sat) at 4am] and the Closing [August 13th (Mon) at 4am] ceremony, as well as other popular Olympic events such as athletics, swimming, diving, gymnastics and many more. 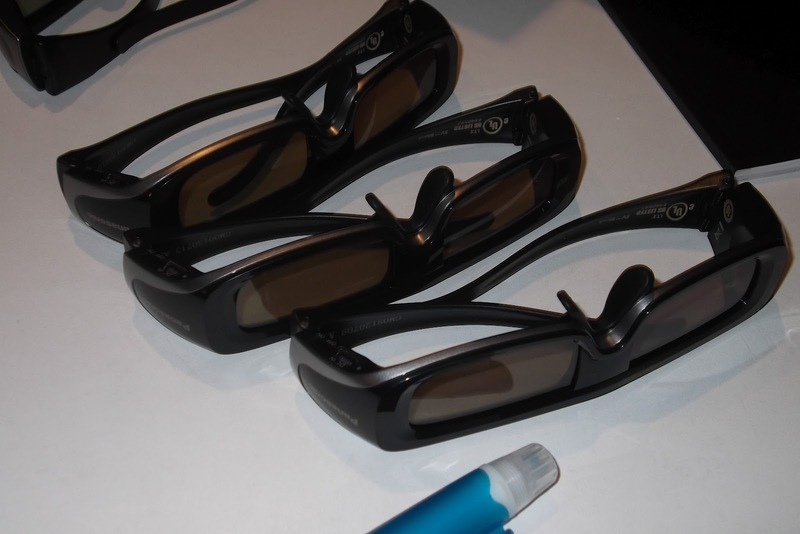 All those will also be available in 3D for the very first time. “With the 3D Olympic coverage this year, Astro customers can definitely look forward to a whole new immersed viewing experience” said Mr. Lee Choong Khay, Vice President, Sports Business, Astro in his opening speech. Astro B.yond HD customers can truly enjoy the London 2012 Olympic Games in spectacular 3D EVERYDAY, from July 28th until August 13th on the dedicated 24-hour Olympic channel on Astro (ESPN 3D, channel 838). ASTRO subscribers who do not choose the Sports Package are not left behind when they can subscribe to the SPECIAL TV PASS, via a one-time payment of RM50. The SPECIAL TV PASS will entitle Astro customers to a premium access with comprehensive coverage of the Games, without having to subscribe to the Astro Sports Pack on a monthly basis. “We are also pleased to extend the Special TV Pass once again to Astro customers for the upcoming Games, allowing Astro customers flexibility and choice” he added. Astro customers who wish to subscribe to the Astro Sports Pack or the Special TV Pass can do so via the newly launched Astro Service Portal (Channel 200) – a brand new service that is available at the tip of your fingers via your Astro remote button. Alternatively, please contact 1300 82 3838 or SMS ASTRO<space>Astro Acc No#SPORTS to 32888* (e.g. ASTRO 0812345678#SPORTS) to subscribe to the Astro Sports Pack. Non-Sports Pack customers who wish to subscribe to the SPECIAL TV PASS to the London 2012 Olympic Games can call us at 03 9543 9833. *Standard telco charges apply. 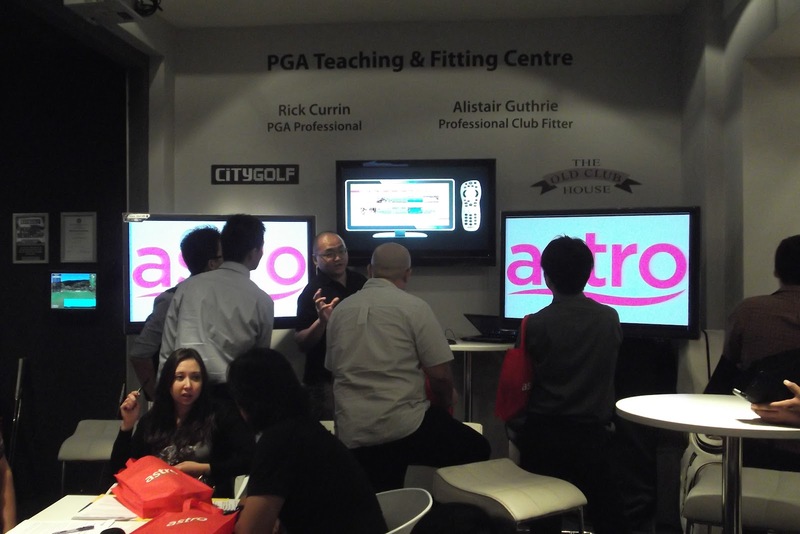 Customers can also log on to www.astro.com.my/shop to subscribe to the Astro Sports Pack. ESPN STAR Sports is a 50:50 joint venture between two of the world’s leading cable and satellite broadcasters. As Asia’s biggest sports content provider, ESPN STAR Sports combines the strengths and resources of its parent companies – Walt Disney (ESPN, Inc.) and News Corporation Limited (STAR) – to deliver a diverse array of international and regional sports to fans across multiple platforms. ESPN STAR Sports features a comprehensive portfolio of multimedia assets including its television networks (ESPN, STAR Sports, STAR Cricket, ESPNEWS, ESPN HD, STAR Cricket HD), broadband network (ESPN Player), digital content services (espnstar.com, mobileESPN), and its on-ground Event Management Group with the aim to engage and entertain sports fans anytime, anyplace. ESPN STAR Sports showcases an unparalleled variety of premier sports from around the globe featuring some of the most iconic sports events to viewers across 24 countries in Asia through its 25 television networks and 3 broadband networks, each localized to deliver differentiated programming to meet diverse needs of Asian sports fans.